Hello, friend! Thank you so much for being here, exploring my corner of the internet. My name is Rachel and I’m the voice behind Bakerita. I’m 25 years old and I’ve been blogging here since August of 2010 when I was just sixteen years old and teaching myself the ropes of traditional baking. Bakerita got its start out my desire to share the recipes I was creating in my kitchen with people beyond just my family and friends that were getting to eat it. 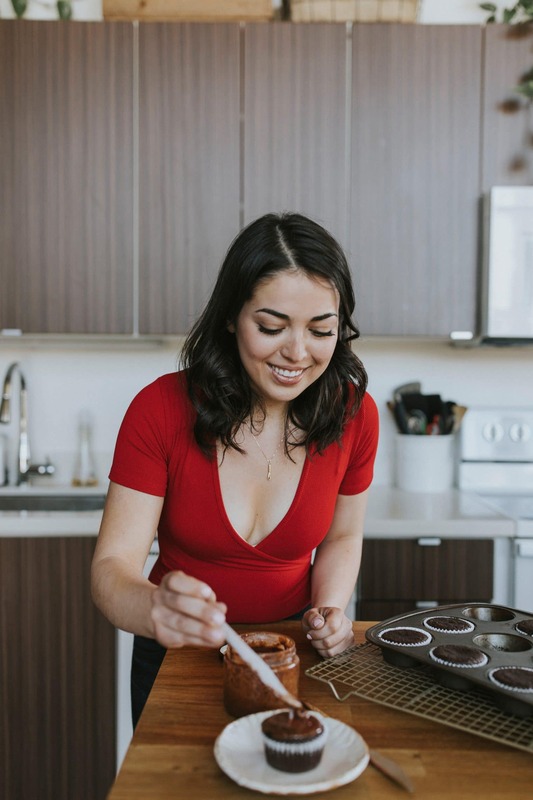 The initial suggestion for a food blog came from my older sister, Shaina and once I started sharing my creations online, I was constantly motivated to do it more and more – letting my baking be my creative outlet throughout the rest of high school, and then all through college as well. Along the way, my eating habits changed. I went from eating all carbs and sugar all the time, with little regard for my diet, to experimenting with cutting out foods that my family members were having trouble with. My sister, who went gluten-free pretty soon after I started Bakerita, was my main motivation to start making gluten-free recipes initially. 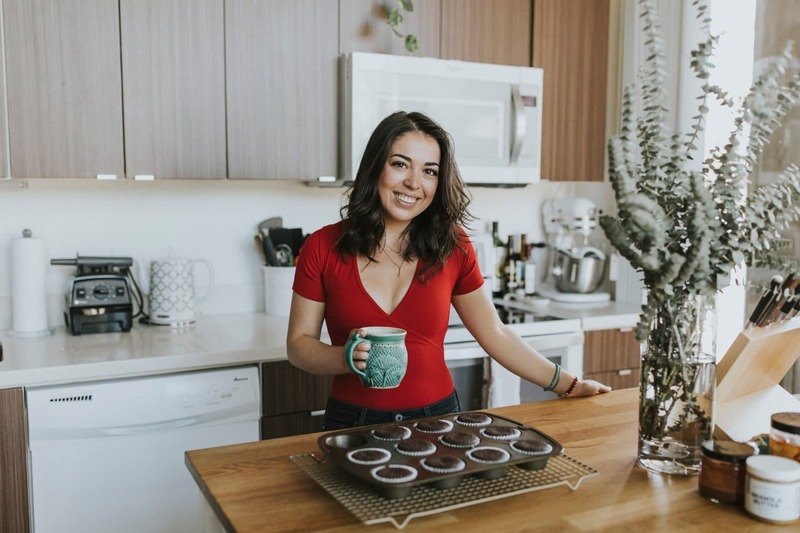 However, as time went on and I experimented with cutting gluten out myself and realizing how it made me feel (much less bloated and way more comfortable), I felt even more compelled to develop gluten-free recipes. I had also discovered a whole new world of alternative sweeteners and cut out baking with refined sugars, sticking with dates, honey, maple syrup, and coconut sugar instead. By the time I was graduating from the University of Puget Sound in 2015, Bakerita recipes were pretty much entirely gluten- and refined sugar-free. It was also at that time that I went full time with Bakerita – my dad encouraged me to give it a shot, and I’ve been my own boss ever since. After a January Whole30 in 2017, I realized I also don’t do so great with dairy, so after that month, I never really went back to eating dairy. That means that these days? All new Bakerita recipes are gluten-free, dairy-free, and refined sugar-free. A lot of them are also paleo and/or vegan, too. I absolutely love being able to share recipes with my community and the world that satisfy our most decadent cravings using ingredients that are better for us and our families. My recipes are usually on the sweet side, though I occasionally throw in a few savory recipes here and there. Gluten-free, paleo, and/or vegan baking DOES NOT have to be hard – so I keep things simple around here. Ingredients lists tend to be pretty short and I tend to gravitate towards the same set of ingredients, so no super weird or random things. I like to keep things simple and easy, so you can spend less time in the kitchen. I run Bakerita from my apartment in San Diego where I live with my puppy, Hank. Beyond Bakerita, I love to travel and read, I’m obsessed with collecting plants and pottery, and I’m always down for a long walk or a road trip. I’m extremely close with my family and love them all to pieces – I wouldn’t be who I am or where I am without my parents, my sister, and my entire extended family. They’re the greatest! To all my readers – you are all amazing, but I need to note this. All content on this site is exclusively mine – all pictures, recipes, and text, unless otherwise stated. Bakerita is a trademarked-entity. Please do not copy and paste my recipes onto your site, Pinterest, Tumblr, etc. unless changes have been made and credit is given. It is fine to link to one of my posts with a photograph, but please give credit. I reserve the right to ask you to remove anything of mine from your site. If you’re in question of whether or not you can use something, please ask me! I am so impressed with your blog—the recipes look fantastic and your commentary just adorable. talent for not only being an expert baker, but in writing as well! 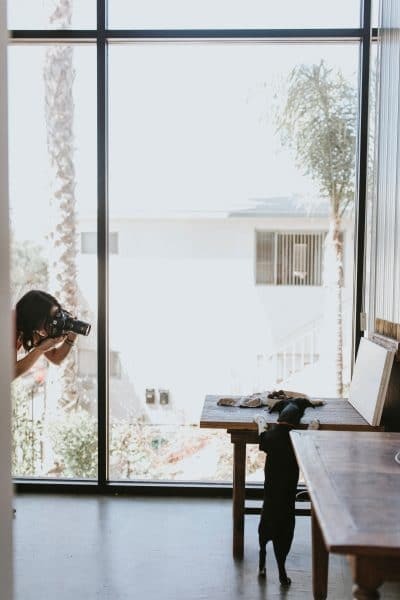 Your site is amazing, and your photos are gorgeous! My daughter, Katie, is 13 and she’s like a mini-you, loves to bake and cook and is also a cheerleader (TP Pop Warner). Maybe you can meet someday. Do you ever experiment with gluten-free baking? The sweets on the market that are gluten-free are pretty awful, although you can get some great tortillas, bagels and bread now. Still, the cakes and cookies are dry and gritty (not enough xantham gum?). Anyway, congratulations and keep up the good work, you are sure to be an incredible success because when you do what you love you can’t help but succeed. BTW, there’s a lot of $ to be made in wedding cakes, and if you could come up with a delicious g-f wedding cake I bet you would be in great demand. This is so cool! Great for you! Can’t wait to start reading about your recipes and adventures on Culinary Road! Hey, you’re ‘Become a Fan on Facebook” button isn’t working. Hurry so I may become a fan! Love all the recipes you have in your blog. I have tried several and they are really good. The photography is amazing. Thank you so much for having these recipes for all of us to try. honestly, the nutella peanut butter brownies need a little work. website is awesome tho! You are a baking machine and at such a young age, it makes me happy to see that. Hope you achieve all your dreams. I tried you facebook, but got the wrong thing. You’re blog is GREAT! I just wanted to reach out to you because I know from your blog that you LOVE to cook/bake and you’re just beginning your journey into college. I would like to introduce you to something I didn’t know about until my senior year in college as a chemistry major– food science. I was lucky enough to find out about Food Science in time to get a Master’s Degree and now I get to work in product development! I get to develop new french fry products and recipes (displayed on the back of the bag) for Ore-Ida products. Hi Rachel! I wanted to let you know that I passed on the Versatile Blogger Award to you in my last blog post. I absolutely love your blog and always look forward to visiting! :) Take care. Hi Rachel … you hav a lovely blog and really impressed at your talent at tis young age…!! hope to try some of your reciepes… and will post them…!! I think you are just fantastic and the best Bakerita around! What a sweetie you are! You have a lovely blog and you have already accomplished so much! I had a great time perusing your posts and enjoyed each one! Thank you so much for stopping by my place and leaving your comment. It is a joy to meet you! thx for the add. one of my best friend’s sons is going to puget sound next year. he is a swimmer. best of luck. I am seriously impressed by you. I have been on a diet for the last 27 days and am now in dire need of dessert. Just want to wish you the best of luck in all you do! I once was an avid baker too (I have allowed food intolerances and massive weight loss efforts to get in the way though) and I really, really identify with the idea that “nothing compares to the joy of seeing someone’s face light up as they bite into one of my creations.” Isn’t it the best?! Thank you so much for all of your lovely comments on Cannella Vita. As a fellow teenage-baker, I love to see other young people as excited as I am about my Kitchen Aid! ;) I also think that it’s awesome that you’re from San Diego, I lived in La Jolla for a long time and miss it dearly. We visited La Jolla for winter break this year and it was so nice — I did a bunch of blog posts on it, you’d probably recognize a lot of the places! Anyways, keep up the beautiful blog! Oh you’re so close! :) Thanks so much – it’s definitely hard keeping up but it’s a fun break from the school work, haha. Your blog is beautiful, as are your recipes – mmm! I am seriously impressed by you Rachel! This is such a great site with so many amazing recipes and you are only 19. Good for you girl! Rachel, thanks for your sweet comment on my blog! I’m so glad it afforded me the opportunity to stop by here and check out all of your yummy creations. As the above commenters have stated, I’m really impressed by your ambition and talent at such a young age…and that you’re able to maintain such a beautiful blog while in college. Props to you, girl! Now, I’m going to go back to scrolling through your yummy recipes. I have such a sweet tooth, so I’m in heaven here! Just want to say that you totally ROCK! I’m on paleo and can’t wait to try out your Almond Banana Bread. Thanks for creating these treats and sharing them with us. Your pictures are amazing too. Keep up the great work! How do you eat all this stuff and stay so skinny?? Ps. Your Peppermint Oreo Fudge Brownies look aaaaamazing! Have a great time in Europe! Thanks for stopping by my blog earlier, Rachel! Your desserts look amazing. I can’t wait to scroll through and look at all the recipes on your site! Your dad just shared this link on his LinkedIn and my eyes have been glued for the past thirty minutes since I clicked on it! You have an incredible talent! Amazing recepies and great photos. May you have tons of success this year! Happy holidays. I love your site. It is beutiful, fun to read. But one important question, how do you find the time to do all of this work?! Thank you so much!! So glad that you like my blog. A gorgeous woman who can bake like this?…. Oh sweet baby Jameis Winston, I am in love. Your deserts are too great. Sure I may be biased however raw talent is just what it is! Manny congratulations for your blogg and ..sure for your work!!!!! I made my dolci :) only for passion..and you surely do the same!!!! Good luck and more & more beautiful recipes! Hi Divya, glad you like my photos! Sure, you can definitely feature my works on your Facebook page, please just tag my page (facebook.com/bakeritablog) in the post. Thanks so much! I’m from San Diego too (but living in the bay area now for med school)! :) Always excited to meet a fellow San Diegan blogger! Your recipes are amazing. I haven’t ever been disappointed and I’m also adapting these with gluten free flour. Keep it up lady! Hi Rachael. Thank you so much for all of your delicious recipes. I make the Brie Bites for our Thanksgiving dinner and we all loved them. And today I found three more recipes that I can’t wait to make. I have shared your site with several friends who are gluten-intolerant and they are very pleased with the recipes, too. Keep up your great work! Hi Jean. Thank you for your kind words!! You put a big smile on my face :) I am so happy everyone enjoyed the brie bites, and I can’t give enough thanks for you sharing my site. I so appreciate it. Happy Holidays! It seems like there is something wrong with your recipe index section of the website. When I click on it, I can’t seem to get to any recipes. Hi Elisa. Sorry you’re having trouble – is it taking you to this page? From there, you should be able to click on the category you want to be taken to a choose a recipe to go to from there (or just scroll down the page to see all the recipes). Hi, Rachel. Thank you very much for sharing your experience here. You wrote a nice article on your various qualities. I like all but photographing is amazing to me. Hi Rachel! Love the blog. Your recipes look amazing. Its true about gluten free and paleo desserts its hard to find recipes that still taste great. I am impressed. Hope to meet you and the Everything Food Conference in May. I love your recipes, but would you have a substitute for the maple syrup you put in all of your recipes? It is absolutely one taste I do not like. I have been just leaving it out. Hi Karen, I hope you got my email as well, but here’s my answer here just in case: you can sub honey 1:1 in pretty much all recipes calling for maple syrup. Hope this helps! I am trying to subscribe to your email list and I’m not being allowed to do so. I don’t want to miss out on anything! Your recipes and website are incredible! I have been an organic veganfor 5 years because it saved my husband’s life who was diagnosed with a rare aggressive cancer! He only had 6 months to live and it’s five years later and he is alive and well! Thank you! Hi Leticia. Thank you for sharing your story with me – we do have very similar interests! I definitely know how you feel about having fun with recipe development. I so appreciate you taking the time to write to me, and I’m so happy to hear that you are enjoying the recipes I’ve created :) Hopefully one day I’ll make it down to Uruguay…I’ve been wanting to visit for years! Have a wonderful week. Hi. I just made your vegan Blueberry muffins. And I must say these are the best vegan recipe for muffins I have used to date. My daughter is allergic to the 5 basic food groups. So I usually make her muffins and freeze them for the occasional Birthday parties. They were so delicious. I did make a couple of modifications and they still turned out great. I used all Raspadura (colombiano), whole wheat flour instead of white wheat flour, and I used frozen blueberries. (We live in Panama, so fresh ones are hard to find). Again thanks again for this recipe. It is great. If you have any cheesecake recipes without coconut and other tree nuts, I would love to make a cheesecake for her!!! I’m so glad that your family is loving the muffins, Katie! Thanks for sharing your feedback and adjustments. Hi Rachel. I love your recipes Thank you so much. I just came across you from Instagram. I am absolutely in love with your blog. I love all the healthy recipes you have, everything looks so amazing. Your pictures are great also. I can not wait to try some of your recipes. Thank you so much for the kind words, Amanda! You put such a smile on my face. Hope you find some recipes that you love! I am a little confused on what is the whole 30? This is a sweet blog. Very impressed! Love the Recipes! Thanks so much for the love, Ryan! I really appreciate it. Seriously your blog is my dream food blog! Just like you I’ve slowly moved toward cleaner and more natural sweets, and yours are so up my alley. Found you through your paleo chocolate chip cookies recently and life has never been the same :) Now I need to go back through EVERY recipe of yours!! :) xox thank you!! You are so sweet!! Thank you so very much, Emi. So glad you’re loving the cookies and hope you find many other treats that you love :) xoxo! HI – Is there a short cut to soaking the cashews for 4 hours?? What if I put them in water and in the microwave to soften them? Suggestions?? I’m in the middle of making the lemon tart now! Hi Janice, I’d recommend pouring boiling water over them and they should soften in about an hour! I simply wanted to encourage you to keep doing what you’re doing. Every recipe I’ve made from your blog is delicious. I am not gluten-free, dairy-free or paleo, but I have friends, family and coworkers who are. The recipes I make for them, from your blog, make them feel so loved. So thanks for helping me love others well! I also really enjoy experiencing how delicious food can be with out a bunch of junk ingredients. The chocolate zucchini cupcakes are a recipe made time after time – THEY ARE SOOOO GOOODDD!!!!! I just discovered your site and I love it! I made the cookies with coconut flour+chocolate chunks and the cookies with almond flour+ craisins, +chocolate chunks. I have several questions for you…. 1. What kind of dark chocolate do you use? 70% 100% ? I used up the dark chocolate chips that I had in my pantry but going forward I would like to use chocolate chunks. I loved the coconut flour cookies with tahini, they were awesome! 2. The almond flour cookies I was disappointed in and could be user error and not the recipe. They were dry and not the texture or color I was wanting. I used flax eggs as well. I am new at baking gluten free so I appreciate your help! The almond flour that I used was Bob’s Red Mill and I thought it was super fine but I’m not positive. Do you have any thoughts or recommendations? I am excited to try the chocolate chip pumpkin bars next!! Thanks for your site and you are very talented!! Hi Jane, so thrilled you liked the cookies! Definitely not 100% – that would be unsweetened chocolate. I usually do in the 70% range, but it depends what your preferences are. For the almond flour cookies, did you change anything about the recipe besides the flax eggs? It’s hard for me to know without any other information. Since you say they were dry, were they overbaked? Or is your oven too hot? Lots of variables are at play. Hope you enjoy the chocolate chip pumpkin bars!! I live out in Canada and have always enjoyed healthy cooking and baking and know how difficult it is to find really great tasting non-gluten recipes. This year, I am launching a health and wellness website with a healthy cooking and baking component. I would love to highlight you and your recipes on our website. Please connect with me to further investigate this opportunity. Thanks for all that you do Rachel…keep on baking! Now let me get into some of your recipes…Kyle has already told me how brilliant your famous chocolate chip cookies are! Would love to connect about your wellness site! I don’t allow my recipes to be reprinted on other sites, but you’re welcome to use photos and link back. Your recipes look amazing! I recently started the Keto way of eating, I was wondering if you will have more recipes to come? And an easier way to locate them on your site? I can’t wait to try your newest peanut butter coconut truffles! Also do you happen to have the nutritional breakdown on them so we know the amount of net carbs in them?, it not on your web page that I could find. Thanks for sharing your talents with everyone!!! I am looking forward to checking back for new updates! Hi Irene! I updated the PB Coconut Truffles recipe with nutritional info. For other recipes, you can always calculate on myfitnesspal.com. Thanks so much for the love – so happy to have you as a member of this community! !